This year, just like last year (here and here), I decided to make a Satsuma Street ornament for Gregory’s teacher. I showed Gregory the 6 options in the ornament collection, and he decided that he’d like to give her the Santa one! 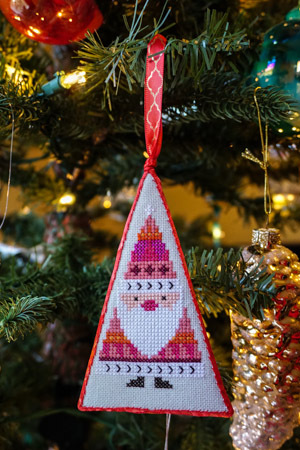 Details: Christmas Ornaments by Satsuma Street on Etsy. Worked mostly as written using DMC cotton embroidery floss – the few color substitutions I made were to add a bit more contrast. I tried a new canvas this year, it is Zweigart 28-count Jubilee in the color “Dawn Grey” (got it at this eBay store – no time to go to an actual store). The trim I used last year didn’t work with this new gray-ish canvas, so I decided to use a simple red & gold satin ribbon. I didn’t plan to tie it into a knot to make the loop, but that’s just how it worked out, and I think I like it! I documented the finishing process on Instagram! Wow! I saw someone post a picture of this gorgeous mug from Creative with Clay on Etsy, and I just had to have one of my own. What a work of art. The artist’s name is Charan Sachar, and he has a really fun Instagram account featuring so many different art forms! 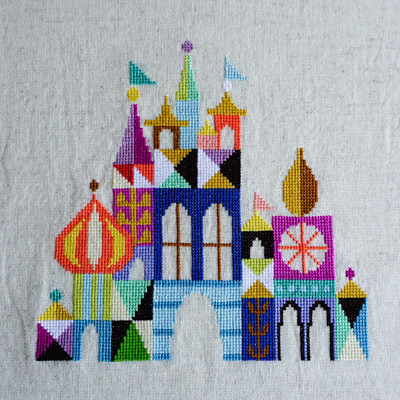 The Pretty Little City cross stitch pattern by Jody Rice of Satsuma Street was an absolute delight to make! 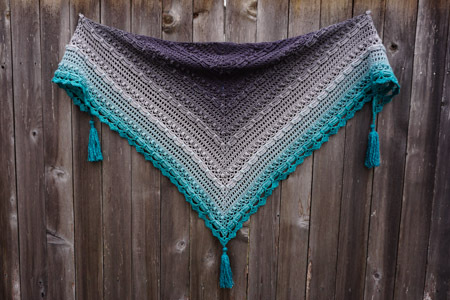 Pattern: Pretty Little City by Jody Rice of Satsuma Street. There was a small “oops” in the gold-on-dark pink branch on the left, but it wasn’t intended. I did intentionally make the double arches identical, in both spots where they appear, because I wanted them to look symmetrical. 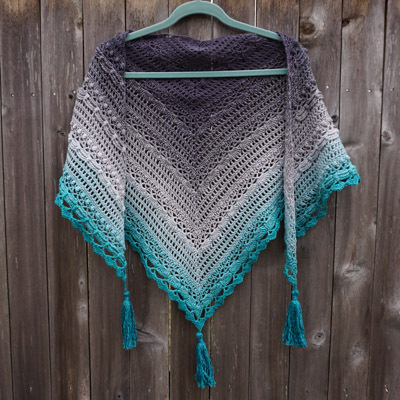 Fabric and floss: I used DMC Carolina Linen in Sand, which I absolutely love. It has a natural color with tiny dark flecks. 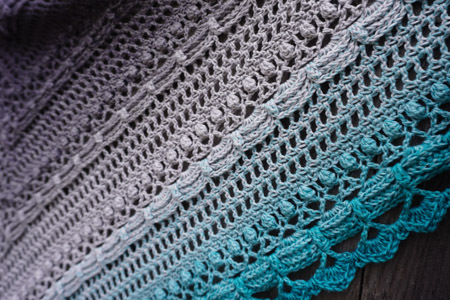 I also love the look of cross stitch on evenweave, versus Aida, and the tightness of the weave of this fabric works really well for me. This particular fabric has been my favorite of all I’ve tried so far. The floss is DMC embroidery floss, using 2 strands. Finished dimensions: My chosen fabric is worked at 14-count, versus the pattern which is written for 18-count. So my Pretty Little City ended up being about 7.7″ square before framing. For framing, I turned to my local Joann’s, where I’ve had a ton of stuff framed in the past, always with great results. They were once again great, even accommodating a last-minute change of heart about the mat color :). 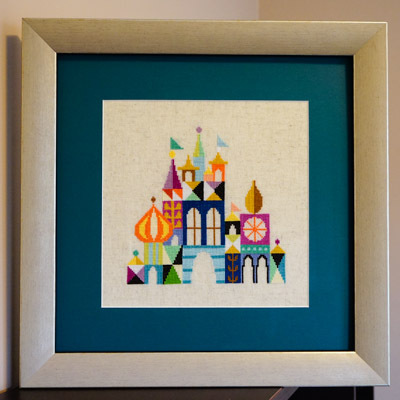 The framed work is 16.5″ square. I really love how this all came together! 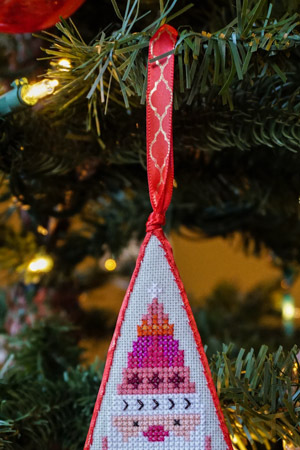 This Pretty Little City joins the two Satsuma Street Christmas ornaments I made last year (tree and bell), and I look forward to making more! When you have little kids, Halloween is everything! 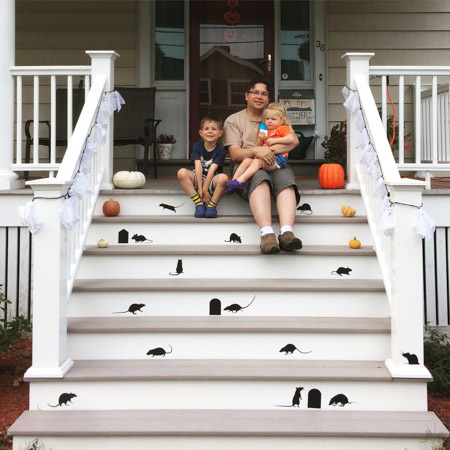 We saw a house near Sonya’s daycare with the most amazing rat decals on the porch steps, and we just HAD to have some, too! I found the perfect set of 17 vinyl rat decals on Etsy from the VinylLettering store. In BLACK, of course! It looks so good, so spooky, and it was ridiculously easy to put on! Even the kids could help! 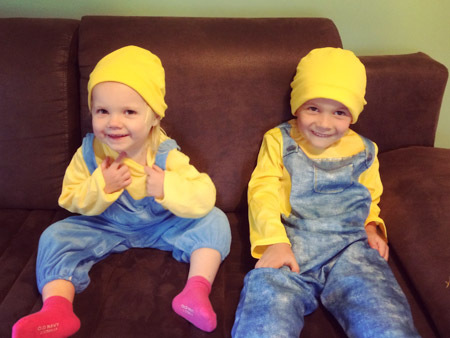 The kids are dressing up as Minions this year. I got them store-bought costumes (little and big), but I did sew my own yellow jersey slouch beanies (made two from one XL adult t-shirt!) because the ones that came with the costumes were terrible. I followed this tutorial, which was straightforward to follow, even in native Swedish :). 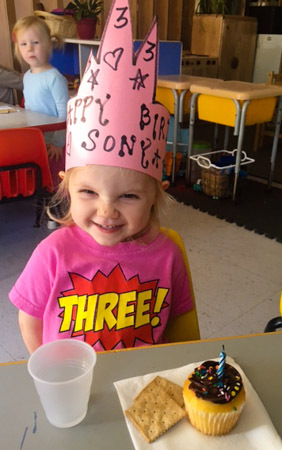 In other news, my sweet Sonya turned 3 years old this week! Can you believe it? Just yesterday she was the tiniest little peanut.